Those nice curves on buttocks, hips, and thighs are favorable and characteristical in feminine silhouette. Nonetheless many women regret nature’s generosity when it comes to these curves. So they want to get rid of the pronounced fat deposits on buttocks and thighs. Especially the infamous saddlebags are often genetically determined and resist both sports and diets. Many women perceive their body proportions as particularly burdensome if they have a lean upper body and a narrow waist. So due to this difference they need to buy larger sized clothes for the lower body than for the upper body. Something that can turn every shopping experience into a nightmare. By means of liposuction undesired fat pads on hips, buttocks, and thighs can be removed sustainably. The body silhouette and proportions are optimized harmoniously. 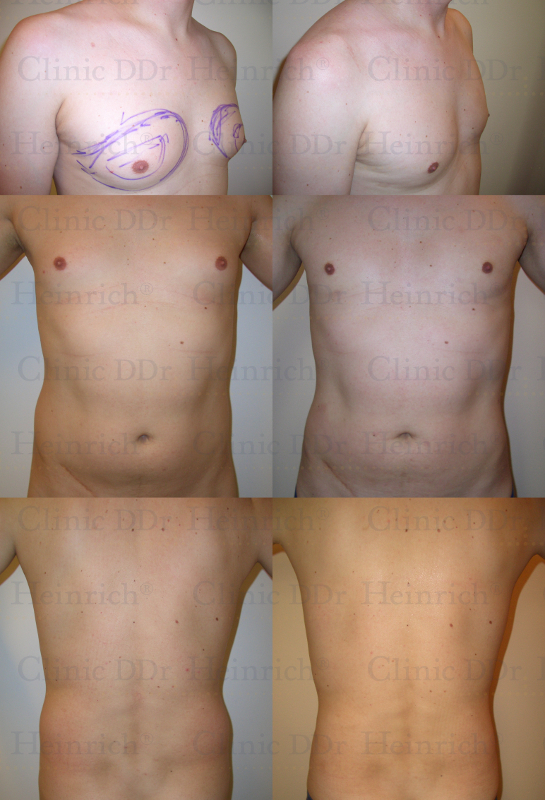 There are different ways how a liposuction can be carried out. The procedure we offer is called liposculpture and is particularly gentle to the body. One quality label is that fat is harvested exclusively in manual work without the usage of suction machines and mechanical suction devices. The procedure is performed on an outpatient basis under local anesthesia and takes about 1 to 3 hours, depending on the extent of the body regions to be treated. Optionally the liposuction can be done with thin microcannulas with a diameter of 1.0 to 2.5 millimeters or with regular cannulas with a diameter starting at 3.0 millimeters. As good as it could be! Both DDr. Heinrich and his team were totally friendly. Every second I felt that I was in good hands and they also looked after me carefully after the treatment. Because we perform liposuctions in a way that is particularly gentle to the body, the aftercare is minimal: After the procedure you have to wear a bandage overnight, afterwards compression garments for 1 week if the liposuction was carried out with microcannulas. In case of regular cannulas compression garments have to be worn for 4 to 8 weeks. Normally you should be able to work the day after liposuction has been performed on buttocks, hips, and thighs. Loose, comfortable clothes can be worn on top of the compression garments. Depending on your profession only a very short time of missed work must be taken into account. In most cases one day should suffice. Given a normal course of healing you should be able to practice sports normally 1 to 2 weeks after microcannular liposuction was performed and 4 to 6 weeks after liposuction with regular cannulas was performed.